The Democrats are proposing a new bill that will make it illegal to question the safety and effectiveness of vaccines. 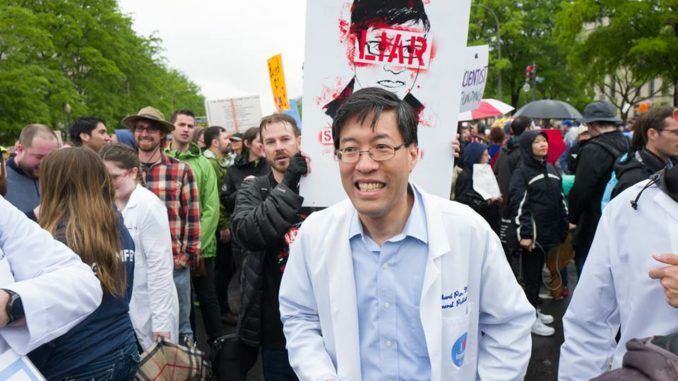 The person behind this new Draconian law is California’s Senator Richard Pan, the very same man who made vaccinations for all Californian schoolchildren mandatory with his dangerous SB277 bill of 2015. Newstarget.com reports: Senator Pan has proposed a new bill entitled “SB1424 Internet: social media: false information: strategic plan,” which would make it a crime to raise questions about any “official story” put forth by the government. That, of course, would include the official vaccine story, namely that all vaccines are good, safe and side effect free, and that a healthy nation is a vaccinated nation. If, for example, someone in the independent media published a story about the dangers of vaccines and their toxic ingredients, that person would have to include a warning that the content was fake (since it deviates from the “official” story), or risk penalties for being a speech criminal. And just who would get to decide what is right and wrong, true and false? Where will these official “fact checkers” come from, and which way will their viewpoints be slanted? After all, we are all biased for or against things based on our own life experiences.